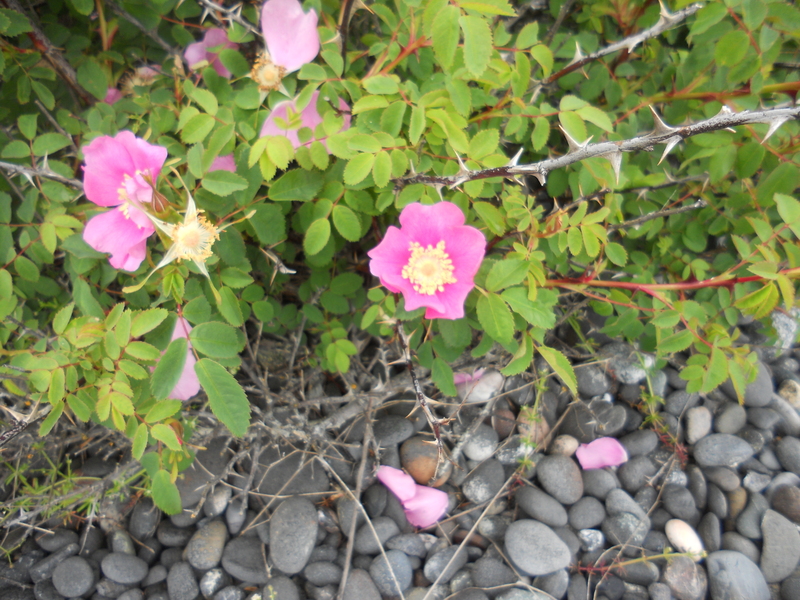 Thanks Jane – those are the wild dog roses that grow here. I enjoy your blog writings too! Thank you Edward. I love your poem/haiku on the carp. Tried to leave a comment on your site (twice) but it wouldn’t take for some reason. I loved this piece, although I must confess that the “words don’t exist” might be a bit hard on all of us writers. They circle around us and fill our transient world and life is unimaginable without them. Oh so true!! What would we writers be without words? Stark raving mad for one thing. My line referred to the other side, when in spirit, we don’t need words. We just know and understand. From the place of spirit, words seem terribly restrictive and confining, as they can only portray the small picture. In spirit we become a part of the big picture and all we need to do is imagine before we see/hear/feel/smell and understand perfectly. Thanks for your comments! I love the contrasts in these lines as you carefully build up your picture. Thanks, John! Those contrasts in nature are something that fascinate me. Any keen observer of science, life, nature is bound to learn from the contrasts, because they bring up the questions. The things that surge and go on, such as the drilling waves, the ferry passengers, the fishing gulls and the eagle all serve to remind me that life does go on and when I’m tempted to ask Why? What’s this crazy thing we call Life all about? I keep getting the same answer from nature – “Just Be. Be in the moment. Strive, surge, dream, enjoy, live – just keep living, loving and learning – that’s your role – that’s why you are here.” And life becomes an adventure again. Who can feel sad for long at the beginning of any adventure? Not me. 🙂 Thanks for your comment. Thanks Joanne. I appreciate your kind words. How lovely to read a piece that pulls one directly into the moment. You renewed my appreciation for living in the now, for respecting the complexity of each minute and the simplicity as well. Reminds me somehow of Eugene, Ore. by the dock. Yes, we share the same coastline so you got the picture quite right. Thanks for your comment. Haiku water – I tried to leave a comment on your site, but for some reason, every time I tried to publish it, the comment disappeared. I enjoyed your haiku with the sun and sounds leaving weight on your back – an unusual way of portraying light and sound, yet when I read the words, I felt the sensation without effort. Nice Haiku!